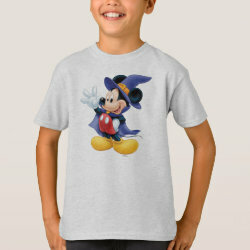 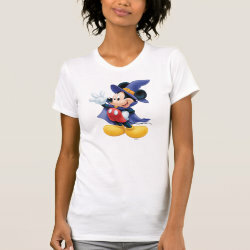 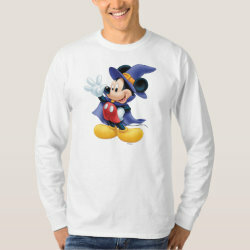 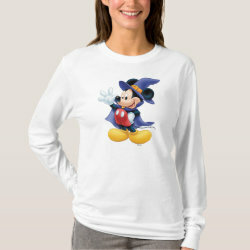 Mickey Mouse is dressed up for Halloween in this cute design from the official Disney store on Zazzle.com. 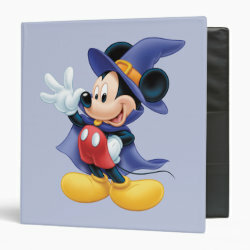 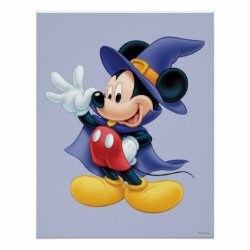 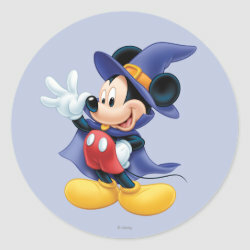 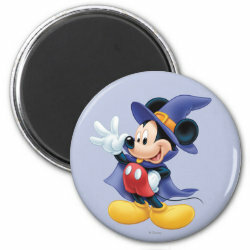 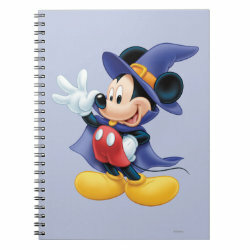 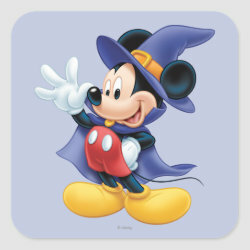 Mickey is magician or a sorcerer as he More... wears a large purple hat and cape. 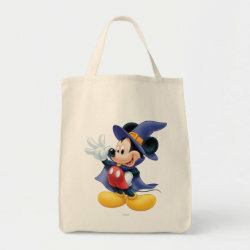 Great gifts here for people who love Disney and Mickey Mouse, including t-shirts and trick-or-treat bags to use on Halloween!